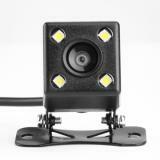 Car Waterproof Mini Camera, which comes with four LED lights to support night vision within 3 meters, has high-definition and 170-degree wide viewing angle. 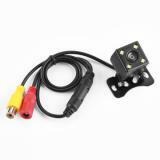 Car Waterproof Mini Camera comes with new and high quality 480 TV Lines HD color image sensor with effective Pixels: 656*492 pixels, which supports NTSC/PAL Video system. 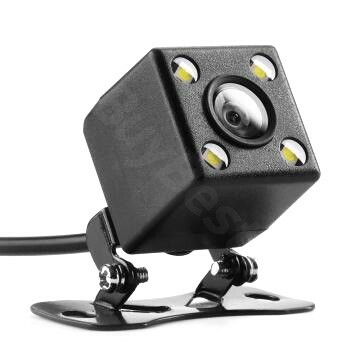 High-definition, 170 Degree wide viewing angle and 4 LED lights support night vision, which can give you a full sight of the back of your car when you are driving. IP68 waterproof/shockproof and weather-resistance mini camera can fit for all outdoor weather conditions and can be used in car and home.Car Waterproof Mini Camera is compatible for most car models including SUV, Pickup, Truck, Mini car, etc. Perfect solution to get rid of that poor rear view visibility on your car that has no rear-view mirror or poor rear vision. 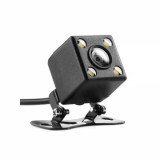 • We also have Wifi Panoramic Camera, SQ13 Mini Camera, SQ23 Mini Camera. These cameras are amazing! The app that you install for them works very well! It notifies you when there’s motion and you label the cameras so when you do get notified it will tell you specifically what side of the house the motion was detected. It also will record for 1 minute once motion is detected. You can change that and pay for iCloud to record longer but I’m satisfied with 1 minute. I’d say the biggest downfall is that these cameras aren’t truly wireless . 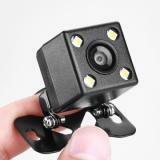 ET ALY-2 Mini Car Camera IP68 Waterproof Camcorder, Black There is a mini camera for the marshalier very useful for me is the small compact waterproof and dirt easy to use and easy to mount has four clamping holes. It is accompanied by four bright lights that will help you to park safely at your feet. My order came quickly packed and safe. Thanks BUYBEST! Can't believe the small camera performs great than my previous one, it's much cheaper than the last one. 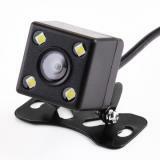 Compact and smart design, the vehicle camera helps me a lot. It's great to shop at your site, polite staff and cheap products. Would come to shop again. The mini camera is not cheap, but performs well. I think it's worthy to try. Though it's waterproof, I still need to protect is from water. The camera still works well after a rainy summer, thanks the waterproof feature. 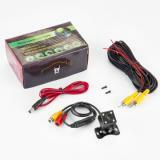 This is my second car camera; hope this one can have a long lifespan.